In the wake of the recent Louis C.K. sexual assault allegations (as well as his subsequent admission of guilt), several major players in the comedy community have been criticized for their silence on the revelations. 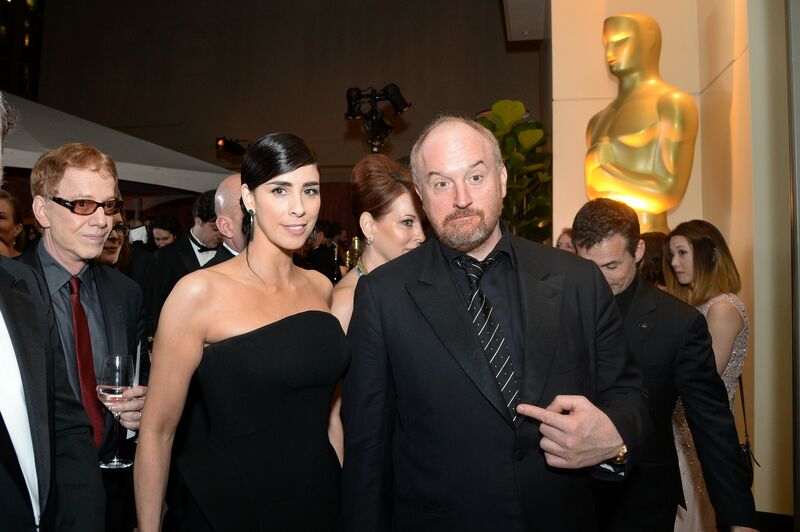 But now, comedian Sarah Silverman has spoken up about C.K.’s sexual misconduct. Silverman — a longtime close friend of C.K. — made a statement about the allegations on her Hulu talk show, I Love You, America. The episode will air today, November 16th, but a segment in which she speaks directly about C.K. was pre-released on YouTube. "One of my best friends of over 25 years, Louis C. K., masturbated in front of women. He wielded his power with women in fucked-up ways, sometimes to the point where they left comedy entirely. I could couch this with heartwarming stories of our friendship and what a great dad he is — but that's totally irrelevant, isn't it? Yes, it is." "It's a real mindfuck, you know, because I love Louis. But Louis did these things. Both of those statements are true. [...But] the only people that matter right now are the victims. They are victims, and they're victims because of something he did. So I hope it's okay if I am at once very angry for the women he wronged and the culture that enabled it, and also sad, because he's my friend. But I believe with all my heart that this moment in time is essential. It's vital that people are held accountable for their actions, no matter who they are. We need to be better." Silverman was one of the comedians most criticized for her silence, because she has both spoken and written publicly about her close friendship with C.K. Some even went as far as to call her “cowardly” for her initial lack of response. And while we wish she had spoken up sooner, we also understand that this is a difficult time of reckoning for many people. We’re glad that Silverman has publicly gone on the record to denounce her friend’s actions, and that she is keeping the focus where it belongs — on the victims, and on working toward making sexual assault a thing of the past.